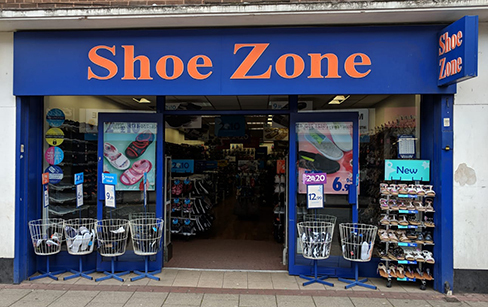 When I offered a £5 off voucher at the check out," which I had been given from another Shoe Zone store", it came up as the voucher had already been redeemed. As I told the store manager " if the voucher had been already used, then why did the shop not keep the voucher if it was redeemed previously."? I assured the manager that I had not used the voucher before.The manager did however offer a 10% discount off my bill. However, as this was conducted in front of other customers at the till. it was very upsetting and embarrassing, as it was coming across as if I was not being truthful, which, I pride myself of being just that. I will in future think twice before entering a Shoe Zone Shop again.